“Scenes so lovely must have been gazed upon by angels in their flight’’. 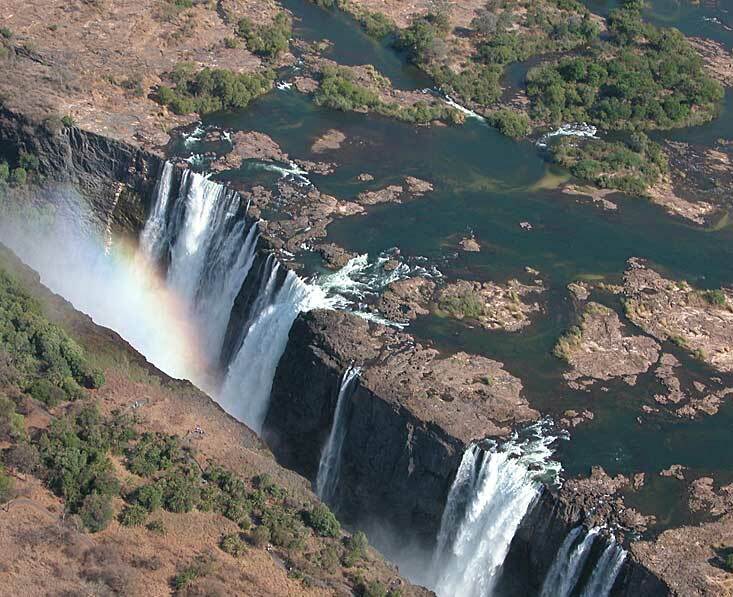 So David Livingstone wrote about the waterfalls which he named Victoria Falls after seeing them for the first time in 1855. 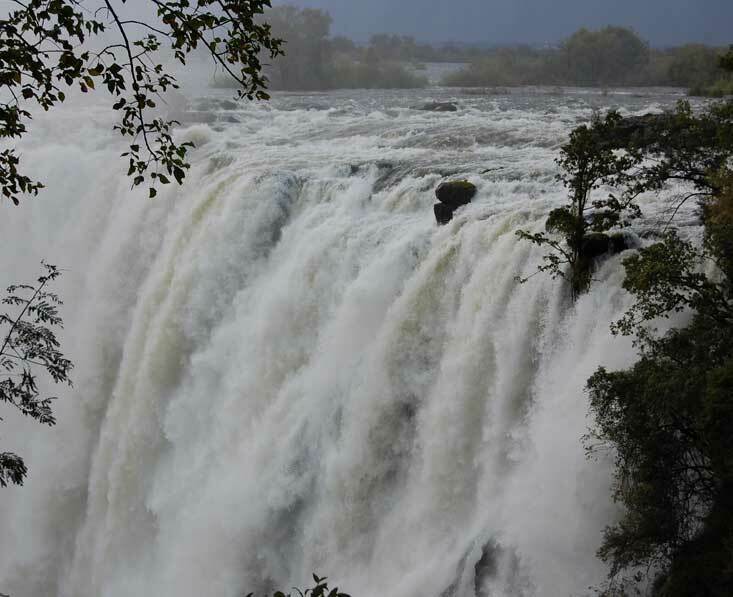 And the impression of this incredible force of nature tends to draw similar reactions from most visitors. It is a truly breathtaking sight. The town itself provides banks, supermarkets, hotels and markets, buses to Lusaka come and go here and there are a couple of interesting museums. The general museum has some interesting David Livingstone items and local Tonga tribal artifacts, and the Railway Museum has some old locomotives and history for train buffs. 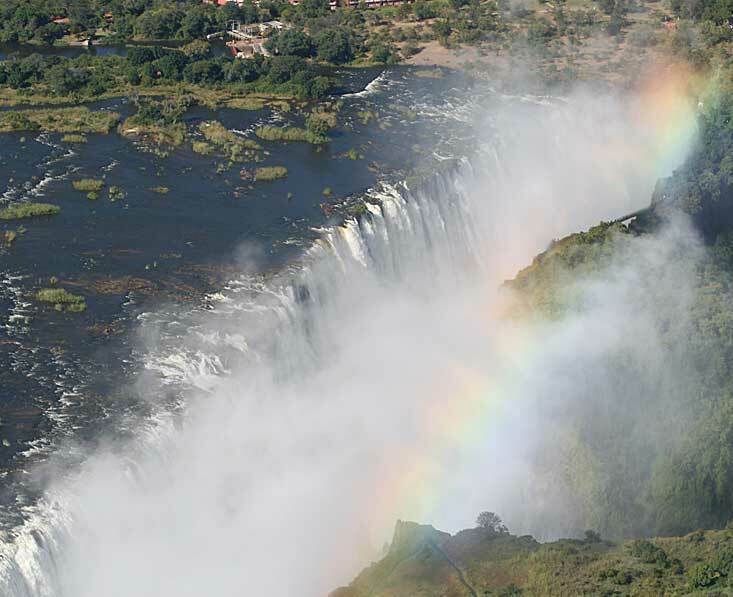 You’re right, Victoria Falls is not in Botswana! 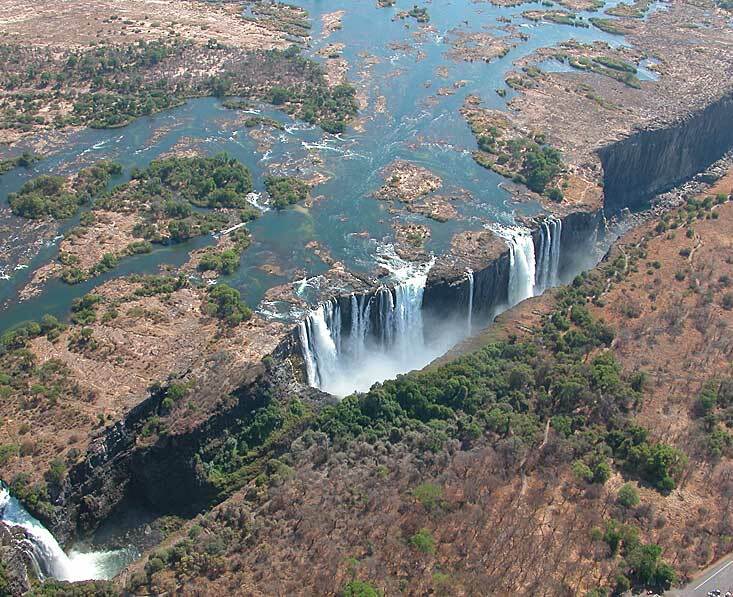 It straddles Zambia and Zimbabwe. 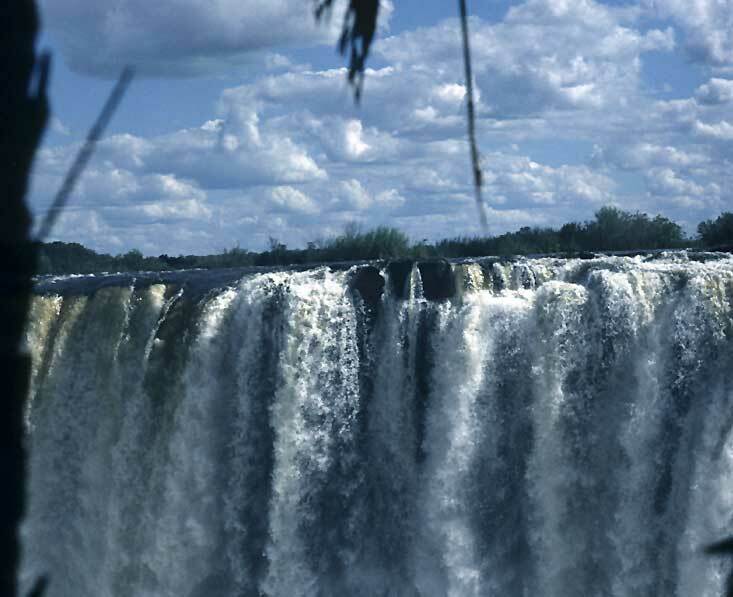 However, it is very easy to visit the Falls from Botswana so it is a lovely addition to a trip to Botswana. 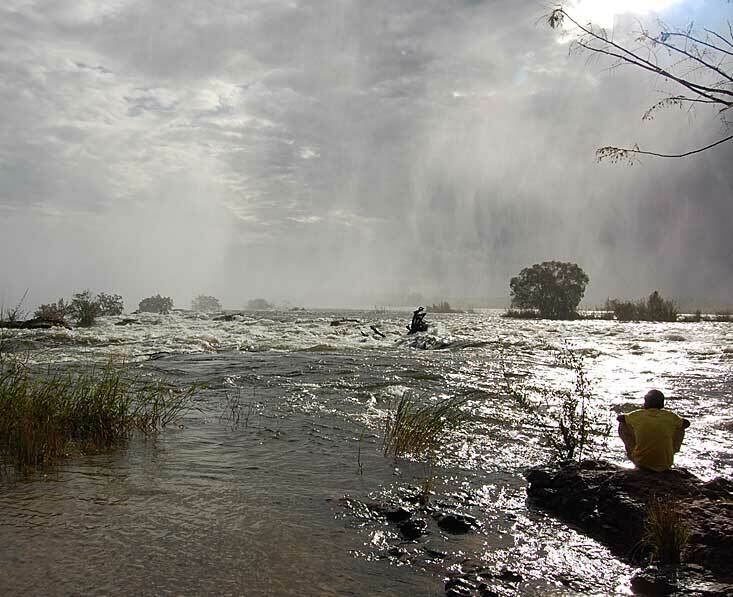 Activities on the river and around the Falls are the main focus of the town with everything from white-water rafting & abseiling the gorge to a sedate river cruise are available here. 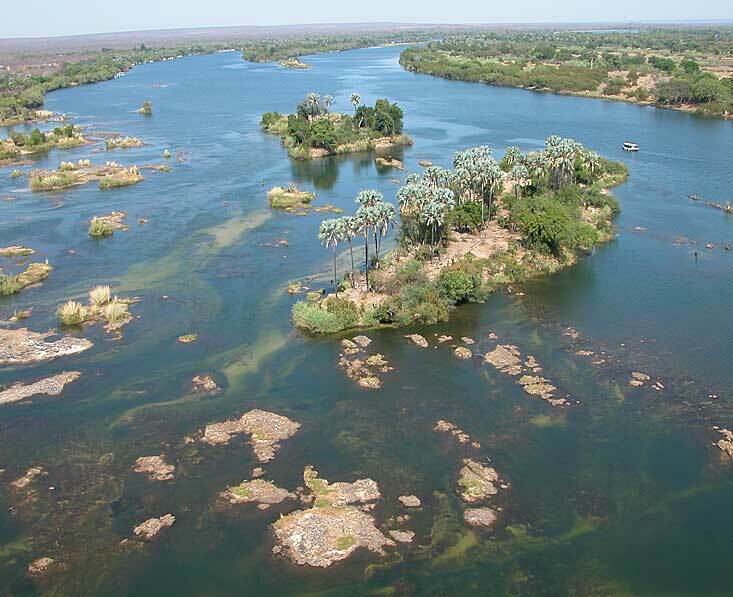 There is a small national park –Mosi oa Tunya –which is home to Zambia’s only Rhino and worth a visit if you have time. 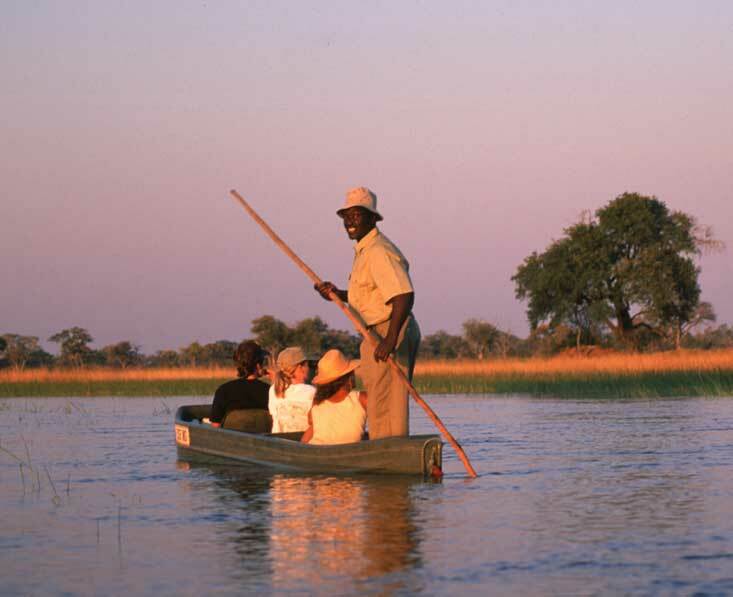 Mosi-ao-Tunya National Park is a Unesco World Heritage Site. 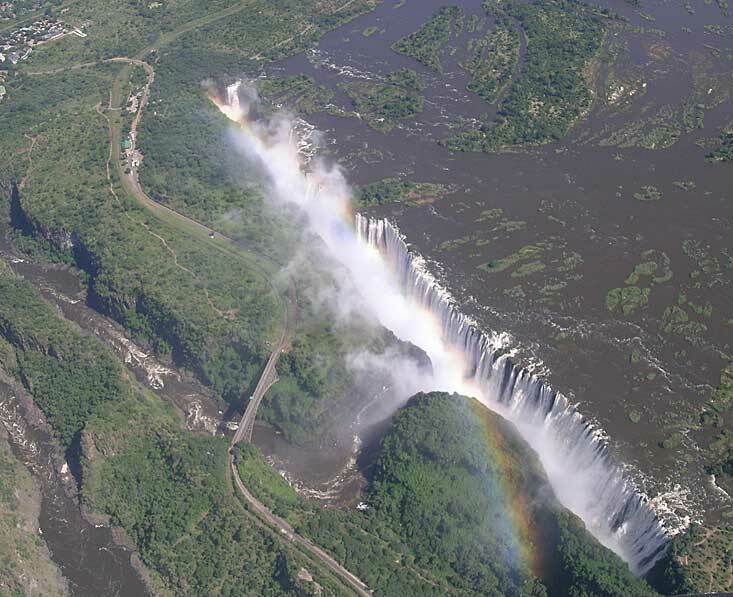 When we first arrived at Victoria Falls, Wow! We entered the gates and heard the noise. 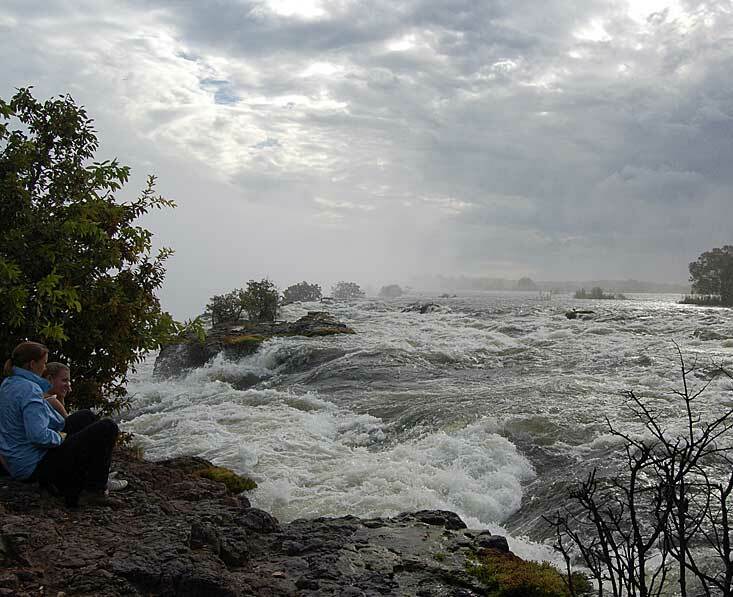 Then seeing the falls through the trees, we both stopped in our tracks and looked in awe at the water. The whole experience there on the different trails was truly awesome! We went back again the next day to see it all over again. A Lunar rainbow can often be experienced for 3 days during a full moon, especially at high water levels. The full moon is bright enough to have its light reflected by raindrops just as is the case for the sun. As moonlight is much fainter, so the lunar rainbow is not nearly as bright as one produced by sunlight but an amazing sight, well worth seeing. 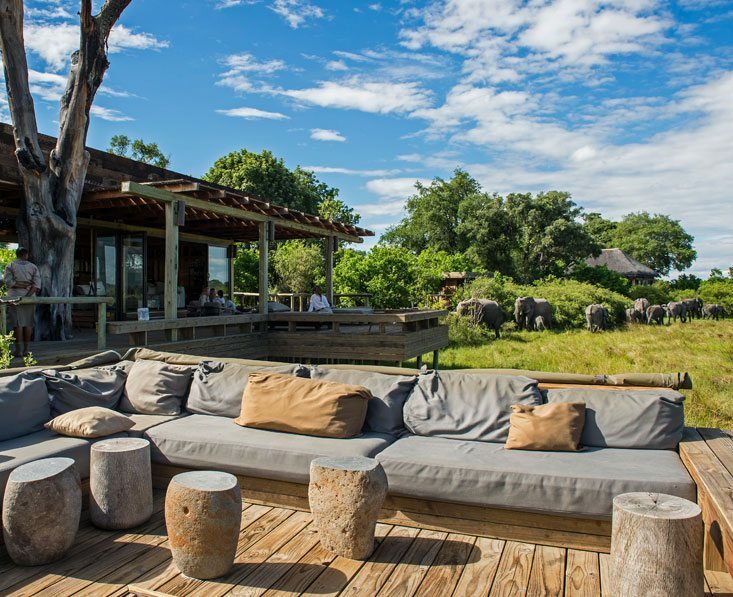 Enjoy game viewing by land, air and water in some of Botswana’s best parks and most luxurious camps.